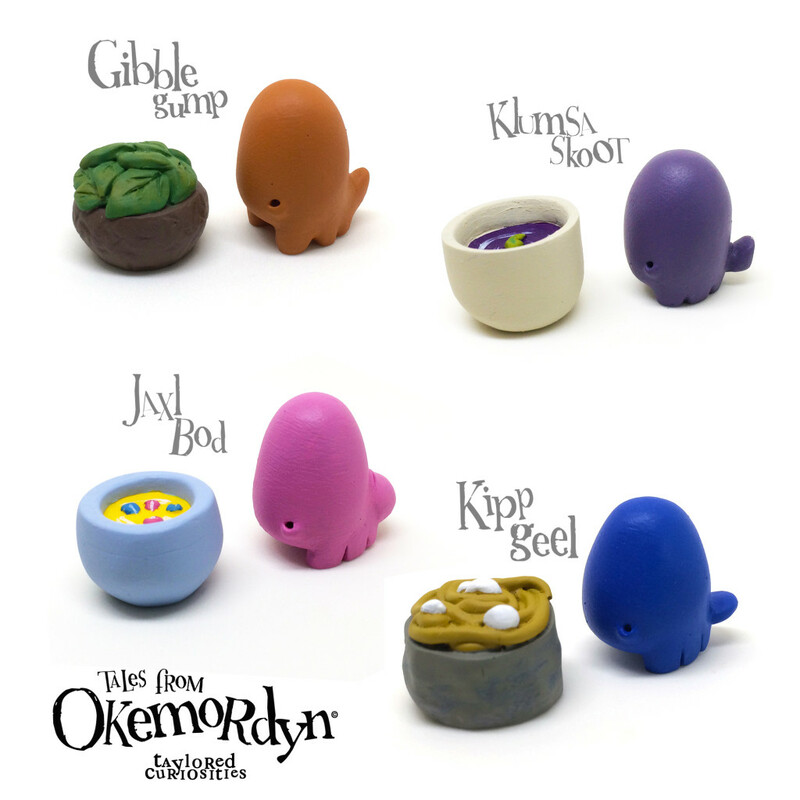 Here is the full reveal of my first ever Blind Box series: Tales from Okemordyn. Each blindbox measures 2″ squared and has hand stamped detailing. Inside you will find a 1″ creature (be it Gibblegump (gi-bel-gump), Klumsaskoot (klum-sa-skoot), Jaxlbod (jax-el-bod) or Kippgeel (kipp-geel); in either their common or rare colour way). More info, background stories and a book to come soon; watch this space. A bowl of food (fresh leaves, purple cabbage soup, pollen chowder or spaghetti with squid balls). 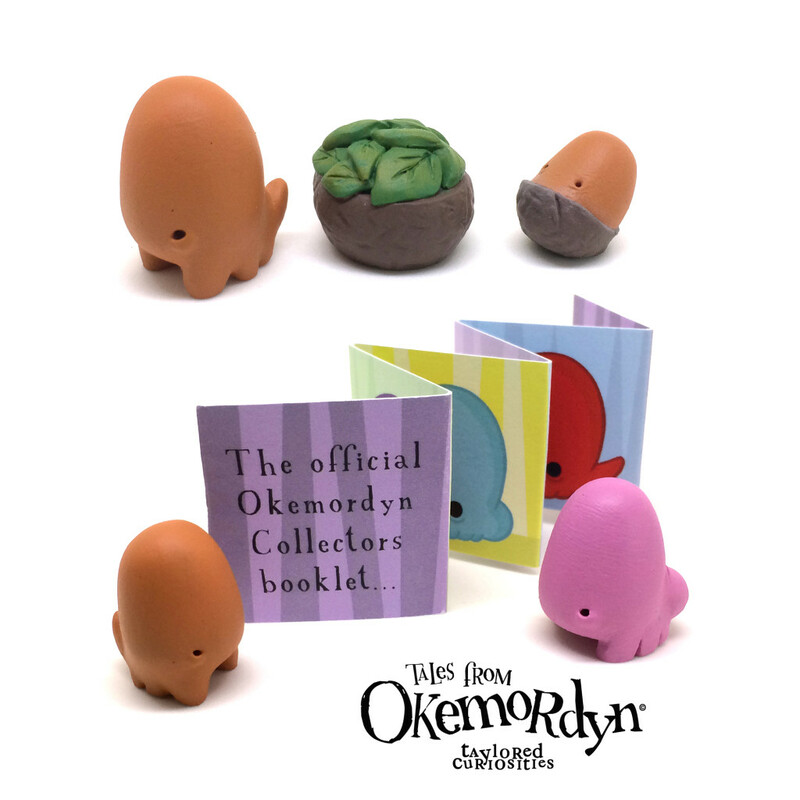 Each is accompanied by a mini collectors booklet that you can use to tick off the ones you find and collect them all AND every fifth creature has a teeny, baby surprise inside. If you buy 8 I will try to ensure you get one of each kind. If buying individually, it’s only 10p more per item shipping wise to the UK. These are hand sculpted, cast and painted and are not designed for young children.